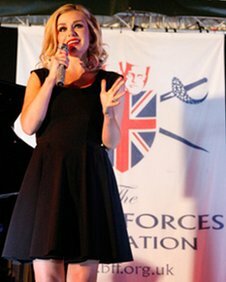 See the gallery for quotes by Katherine Jenkins. You can to use those 7 images of quotes as a desktop wallpapers. People see you sing in a certain way, in a long dress, and you are put on a pedestal like you have never made a mistake in your life. Singing has always been my big passion and I would love to be able to go to the U.S. and perform more. I get 'voluptuous' a lot, or 'shapely,' but the fact is that as you get older you learn to embrace your body type. I wasn't able to do that until I was at least 23. 2012 was the year I saw Twitter as a negative. More people need to realise that not everything they read is true and that Internet trolls are a real problem. After doing 'Doctor Who,' I'm open-minded to doing more acting. Part of the reason you do a show like this is because it creates other opportunities you haven't had before. Although I'm not shy when I'm singing, I am whenever I hear applause. I don't know if you've noticed, but I giggle a lot on-stage. That's shyness. And the stage manager is always telling me to take a longer bow whenever I come off-stage. I still haven't learnt to do that properly. I see other artistes milking the applause, but I can't quite do it. For me, with the Blue Man Group, I got asked. It was for the Royal Variety Show, which was something I always wanted to be a part of. I'm really interested in things people don't necessarily expect. I did a pop song, but I did it in my own style. From as young as I can remember, I always wanted to be a singer... My mum taught me 'Going Down the Garden to Eat Worms' for a competition when I was about 4. I did once shatter a chandelier. I was singing with my college choir in Wales. I was the soloist and I hit the high note and there was this massive bang and all this glass came down from the ceiling. I'd like that to be my party trick if I can perfect it. I do not understand where the idea came from that opera is only for privileged people, I am as happy singing before 70,000 people at the Millennium Stadium, as I am in front of a few hundred in a small concert hall. I go home and don't get treated any differently. People have known me all my life and are interested and very supportive but because they have known me forever I don't get any diva treatment. My mum still tells me off if I haven't loaded the dishwasher for her. I have never called myself an opera singer. Other people do, but I always call myself a classical singer. I'd love to do opera, but I'm still too young and I don't want to do it until I'm ready. I realise that when I do that it's going to be... up for discussion, shall we say, so I want to get it right. I have to believe that I know what's best for me. For instance, I choose all my songs. I never record anything I don't want to record. No one tells me what concerts to do. 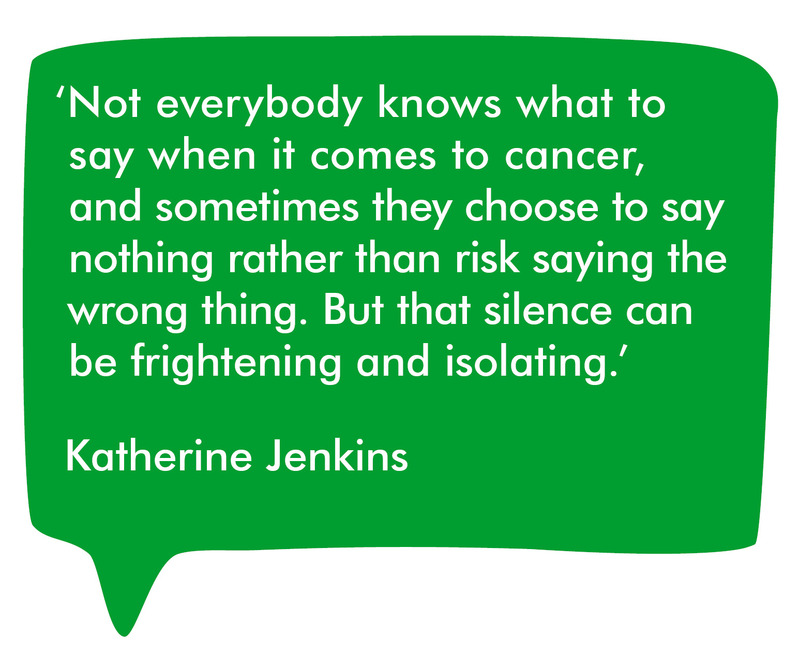 Much more quotes by Katherine Jenkins below the page. I wasn't the best in my class at the Royal Academy. There was a really good soprano and baritone who were technically better and are doing really well in opera now. But I was definitely the best mezzo-soprano in my class, because I was the only one of those! I'm a huge supporter of the military. I think they do an incredible job. So when I get invited to go out and sing for them, some of the best moments of my life. I'm over the moon to be involved in the 'Doctor Who' Christmas special. I can't quite believe it as it's a part of the family tradition at the Jenkins household. I heard the news that I got the role on my 30th birthday and it was the best birthday present ever. I've always said that I count myself as a classical crossover artist. To be so, you have to have the core classical training, which I did for many, many years, but also be interested in the pop side of things. You can fit in somewhere in the middle. I feel I do that really well. Oh, stuff the critics. I don't care. Too many people are snooty about classical. Look, I wasn't brought up in a home where we listened to classical music. It was a singing teacher that thought it would be best for my voice. Then I moved into crossover. And if that makes the music accessible to more people, then great. The diva tag just won't go away. I think that's because people want me to be like that. It makes it more interesting if I have thrown a phone at somebody or a water bottle. Sadly that's just not me. When I did 'Dancing with the Stars' I did lose an awful lot of weight and I think at the time everybody was sort of alarmed by it. You can eat anything and it is still dropping off you when you are doing that amount of exercise. With 'Believe' bringing really big success for me outside of the U.K. for the first time, it meant I have been touring around the world and that led to a gap from the studio. I really feel like the gap has done me the world of good. Throughout that time I was able to collect songs that I really loved. Yes. I do about 70 shows a year, in the past year I've been to Italy, Australia, Japan, China, just about everywhere. I do it because I love singing. The money is a bonus. Everything in my career is my decision - every picture, every outfit. You get one chance at this, and I never saw myself as being a puppet. People perceive opera and classical as elitist - I disagree. I've always tried to mix the two, make it more accessible. Being a question on 'The Weakest Link,' that was quite a moment. For stage wear and gowns, Julien McDonald, who is a friend of mine. I love that he can be totally over the top for stage wear! I'd love to play Carmen - it's the perfect mezzo role. I'm not naturally a person that wants to exercise, but I find running is something I can do wherever I am in the world. I've only ever wanted to be a singer; I never wanted to be famous. If my mum thinks I'm acting like a diva she'll soon tell me off... She'll cut me down to size! My mother and father were perfect role models. They were together for 25 years and very much in love. But I've got too much to do now. I'm only 27.